The 2017 PGA Championship tees off at Quail Hollow Club on Thursday, setting up another exciting week of fantasy golf at DraftKings. 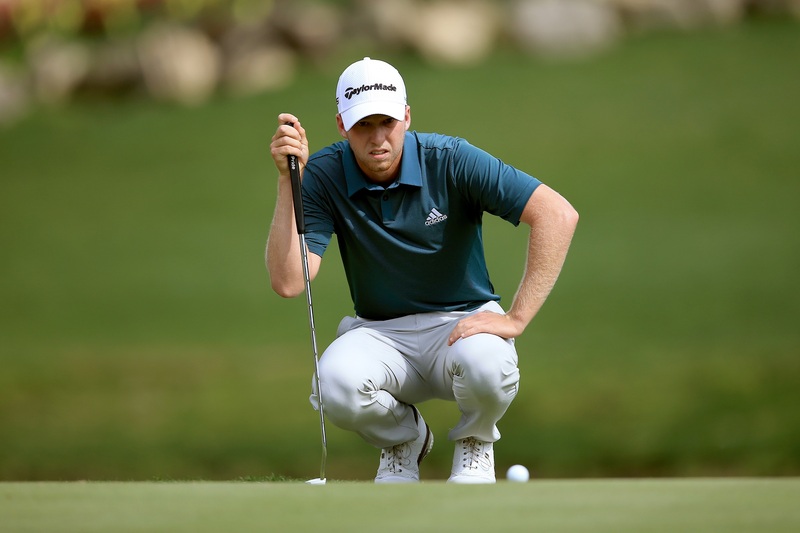 In our final PGA preview of the season, we look at how to attack the course, as well as some of the top picks to target and some sleepers to target for your teams. Quail Hollow has undergone some changes since hosting the Wells Fargo Championship in May 2016. The first couple of holes will look totally different after the first two holes were combined to make a very long Par 4 starting hole. The biggest change will be playing on overseeded rye grass to full Bermuda tee to green. This will affect rough approaches as well as chipping. If you are stuck on two players, one who plays on Bermuda more should be used to break the tie for your lineup. The course will play as a 71 and will stretch out to 7,600 yards. Bombers who can hit fairways will have the upper hand this week. 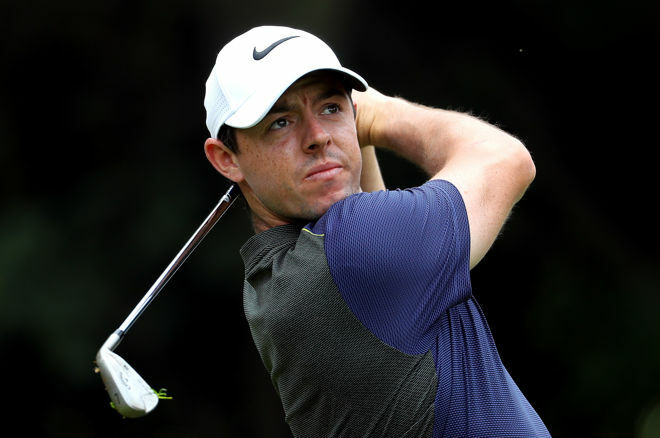 Rory comes into the PGA Championship as an outside top player looking in. Entering the WGC Bridgestone he had three missed cuts in his last five events, followed by a fourth place in the Open. DFS players who looks hard at recent performance just might look elsewhere in the top tier. Despite the recent form, Rory comes into the event ranked first in the field in his last 24 rounds in Strokes Gained:T2G, seventh in Driving Distance, and first in Proximity>200 yards. Rory also ranks second in GIR strokes gained. It looks like he is well on track to start playing at the top of his game, and it showed during the first two rounds of the WGC where he was tied for third on the leaderboard entering the weekend. Berger has great form coming into the PGA Championship, placing top 5 in three of his last five events, including a win defending his title at The St Jude. He was T13 at the WGC Bridgestone going into the weekend when this article was published. Looking at rolling stats and his last 24 rounds, Berger is third in Bogey Avoidance to the field and second in Proximity>200 yards. Adding to that, he ranks fifth in Strokes Gained: Greens in Regulation and Strokes Gained:T2G. He checks every mark for our stats and has the current form we're looking for. Berger is at a price where he could be very high owned, but that should not deter you. He is one of the few who can be in contention on Sunday around this price range. Lefty has a 9th, 20th, and MC in his last three events this season, although the missed cut was not a big surprise as he didn’t play the week before The Open. Phil ranks 1st in SG:Approaches over his last 24 rounds to the field, as well as 3rd in BoB% and 10th in Proximity >200 yards. (If you haven’t noticed we love guys who hit it close from >200 yards). Phil also comes in ranked 20th in SG:GIR and 17th SG:T2G. With Phil’s recent play not raising any eyebrows, he should be fairly low owned with the 15th-highest salary for the week. We expect most to look elsewhere. The defending PGA Champion is priced under $7,000. Let me repeat: the defending champion, who led the WGC Bridgestone on Saturday after two rounds, is priced under $7,000. Jimmy should be priced in the 8k range based solely on the condition of the course they are playing this week. He grew up Bermuda fairways and rough and still plays all the time at his home track on those surfaces. In an interview he did on the new look Quail Hollow, he said most will struggle on how to judge hitting out of this rough and most will struggle with chipping. Well, he will not. He is a master at it. Walker may be very high owned, especially if he wins at the Bridgestone, but is the only golfer in his price range who can contend. That makes him an easy play, especially in cash games. If you are looking for a dirt cheap option to thrown into your star-stacked lineup, look at these two PGA Club Pros. PGA Tour experience as well as Major Championship experience. Dobyns played in two PGA Championships and a US Open since 2012, as well as the Wells Fargo last season. Although he missed the cut in his three majors, he did make the cut at the Wells Fargo. He is a bomber who can get hot with the flat stick. Matt has the best chance of any club pro to make the cut. Berberian won the 2016 National Club Professional and has made the cut in two of the four PGA Tour events he has played in this season, the AT&T Pebble Beach Pro Am and the Puerto Rico Open. He has played in two major championships, the 2015 US Open and 2016 PGA Championship, missing the cut in both. One of the longest PGA Club Pro hitters, Rich has the game to make the cut at this long track. Jon Rahm ($9,700): Ranks third in driving distance, fourth in BoB%, sixth in T2G, and third in SG:OTT to the field over his last 24 rounds. Kevin Chappell ($7,000): Bomber who makes a lot of of birdies and always plays well at Quail Hollow. Great T2G player.